The majesty of a lion is unparalleled. It evokes a sense of fear and obedience. The symbol of a lion is also used to depict qualities like pride and leadership. The images below are mostly done in pencil, which brings out the beauty of the feral cats quite dramatically. These sketches increase the appeal of your design by a few hundred times. 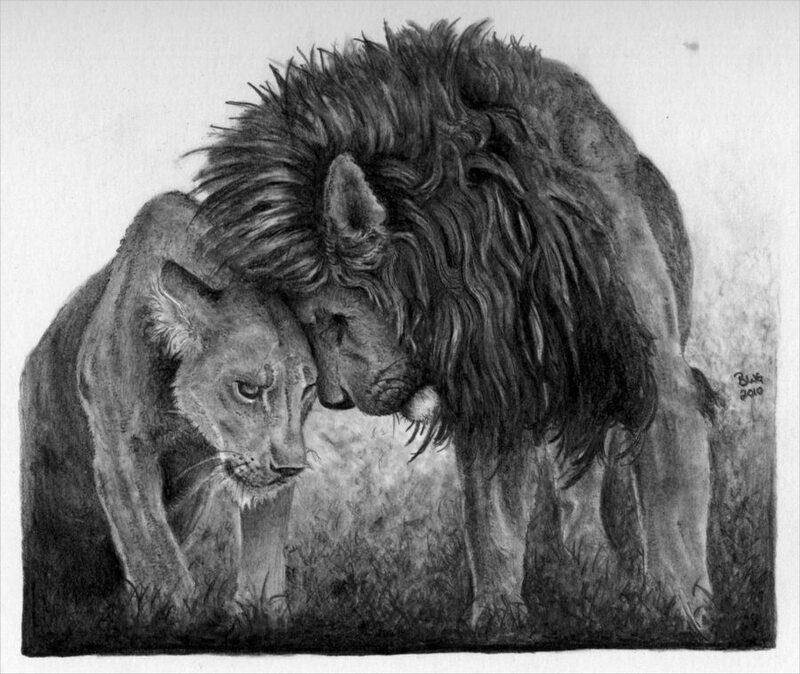 This picture titled lion love drawing beautifully depicts the love between a lion and a lioness. The picture is very sweet and evokes a relaxed and harmonized feeling. In this picture, a lion is seen pecking on the cheeks of a lioness. 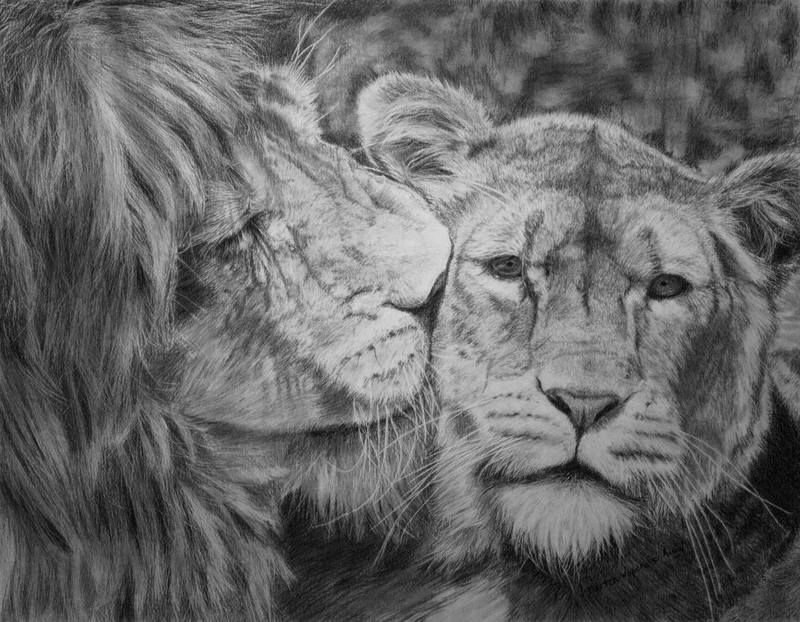 The lion in love drawing is another romantic picture where the heads of both the lion and lioness are tilted downwards and the lion seems to be pecking the lioness on the head. This picture of a lion mother with her young one is perhaps one of the most beautiful images available in this lot. A young lion cub is shown resting peacefully on its mother’s lap, while the mother is shown keeping an eye out for any imminent danger. 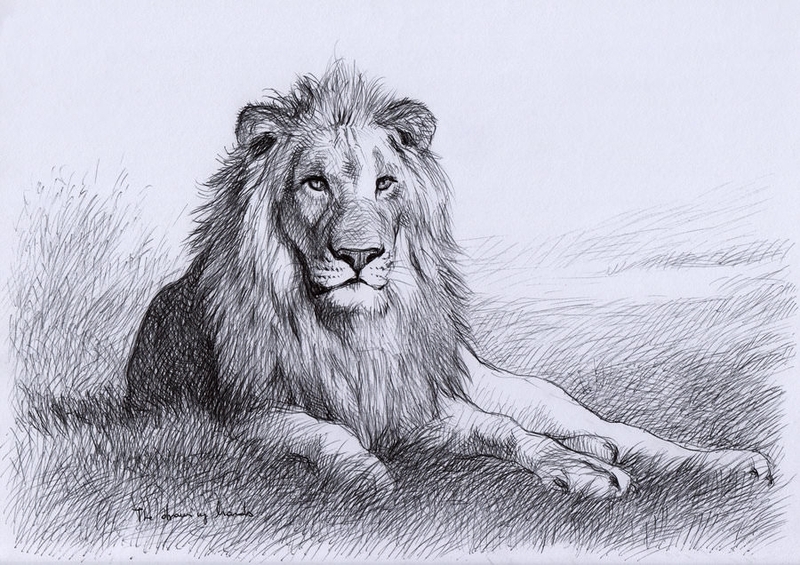 This drawing of an amazing lion drawing depicts a single lion. The highlight of this picture is the artistically crafted mane that is seen cascading down from both sides of the lion’s face. 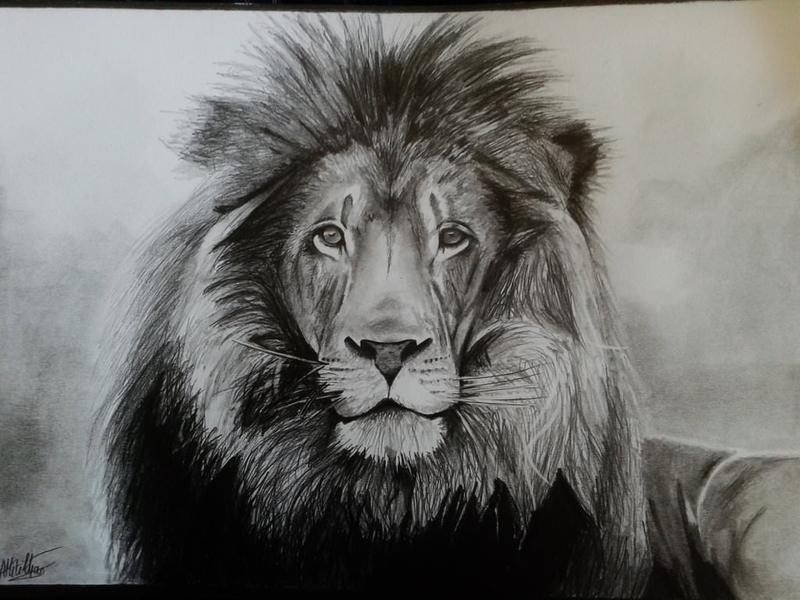 This is another portrait drawing of a lion where one side of the face is shown. In this picture, the fantastic lion drawing seems to be a bit older than its previous counterparts. 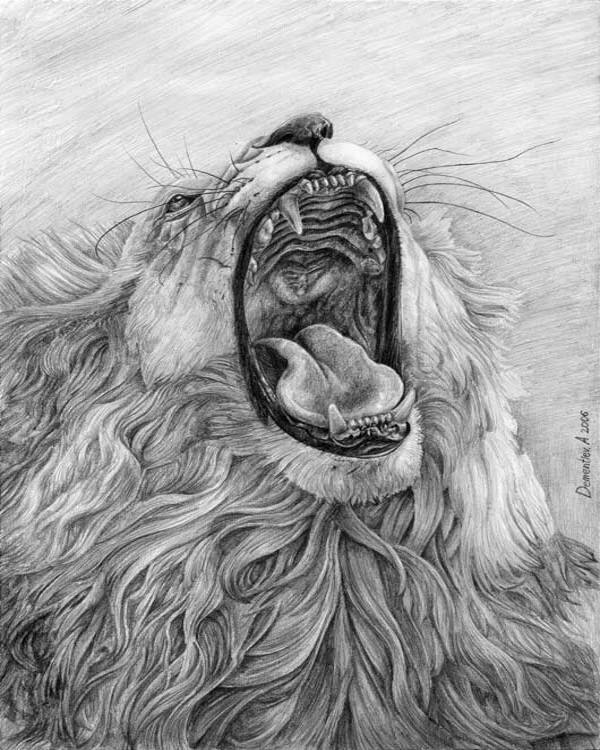 This pencil sketch of a roaring lion drawing depicts a lion in all its glory. The lion in this picture is drawn with its mouth wide open. The detailed depiction of the tongue and teeth inside his mouth portion is worth mentioning. 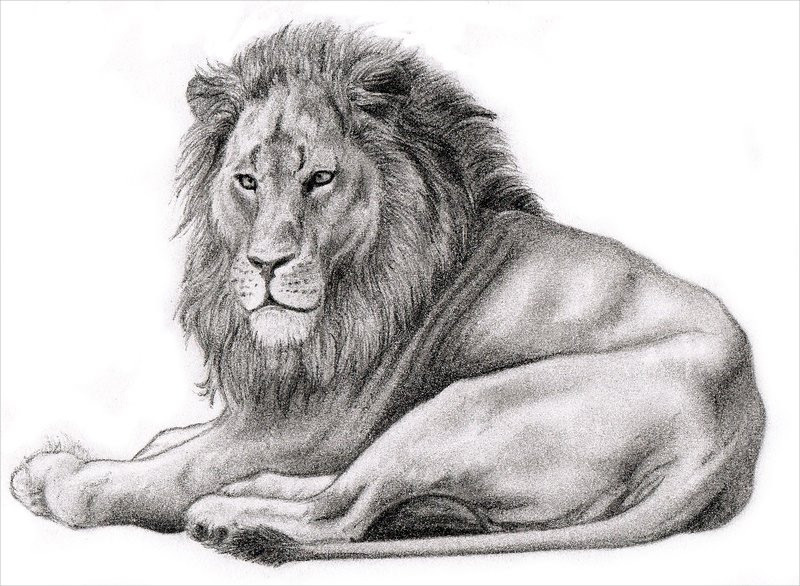 The resting lion drawing is more of a realistic depiction of a lion in his natural habitat. The image shows the full frontal portion of the lion’s body on the backdrop of savanna grassland. 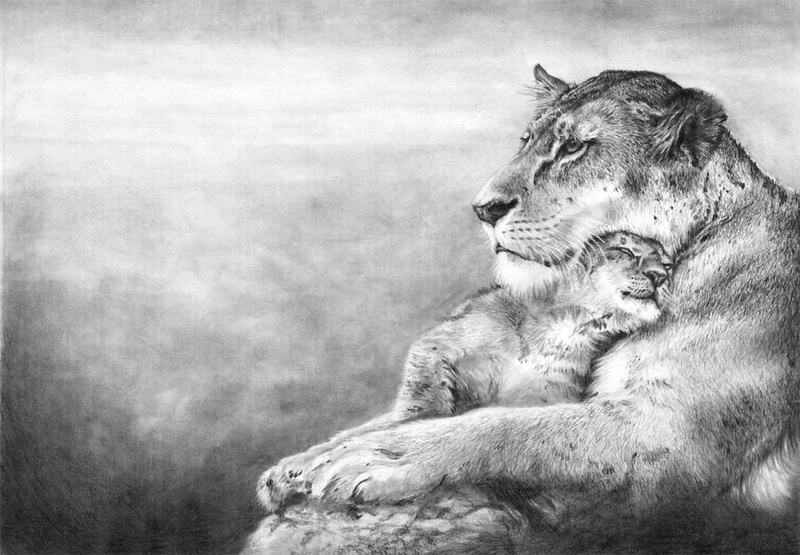 This picture of a lion cub drawing is the cutest in this series. 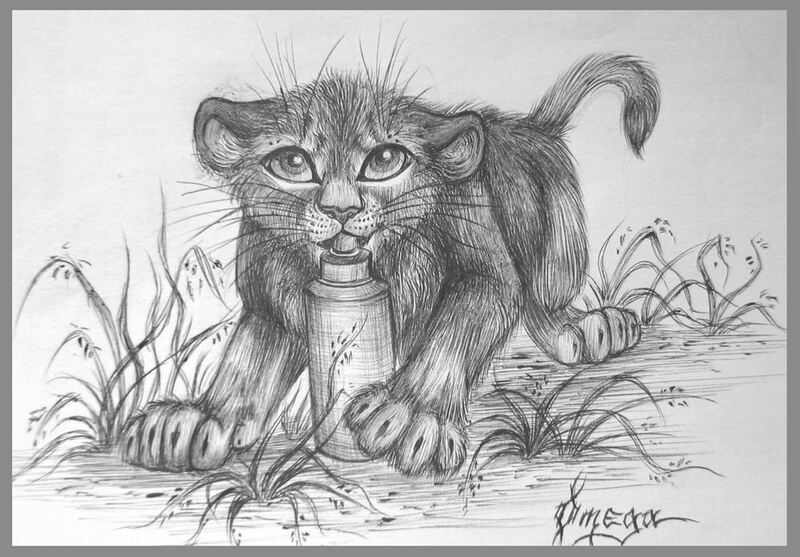 It depicts a months-old cub drinking milk from a feeling bottle. The matching frames and the innocence of the cub make this sketch really swoon worthy. 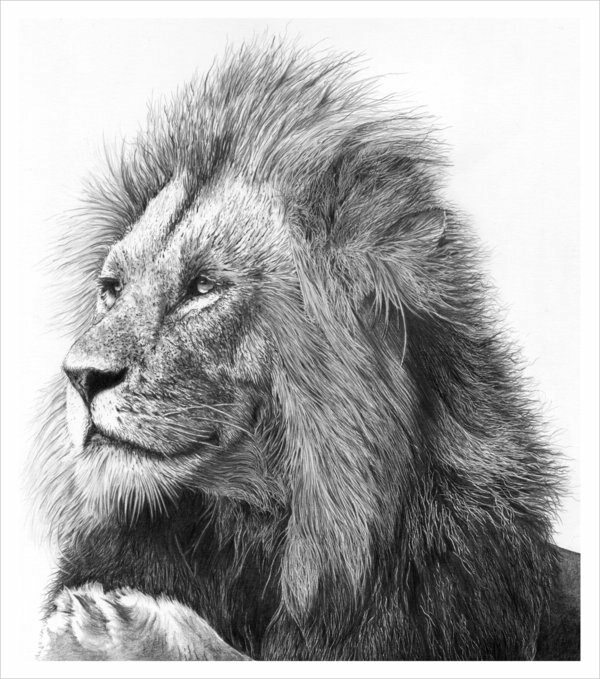 This picture of a lion king drawing depicts a curiosity in the face of the mighty animal. The look is a mixture of disgust and curiosity. The facial expression is the main USP of the image which makes it stand out. 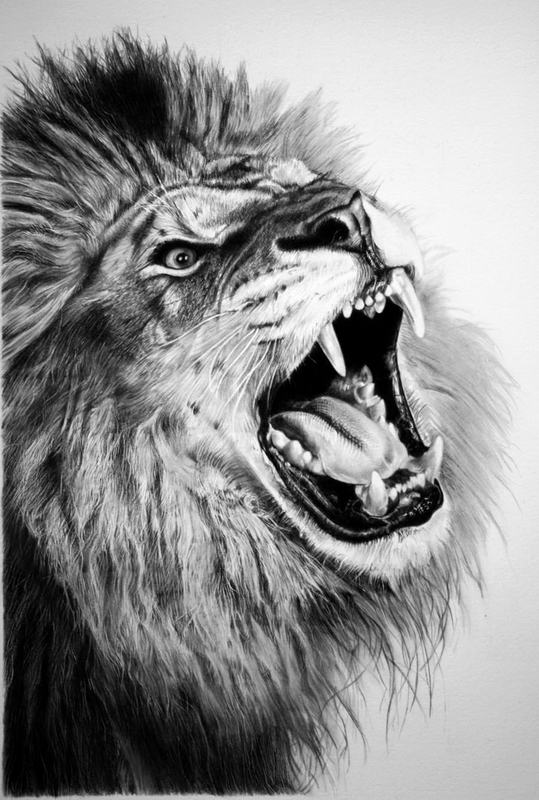 This sample of amazing lion pencil drawing depicts another angry avatar of the lion. The drawing is very life-like. 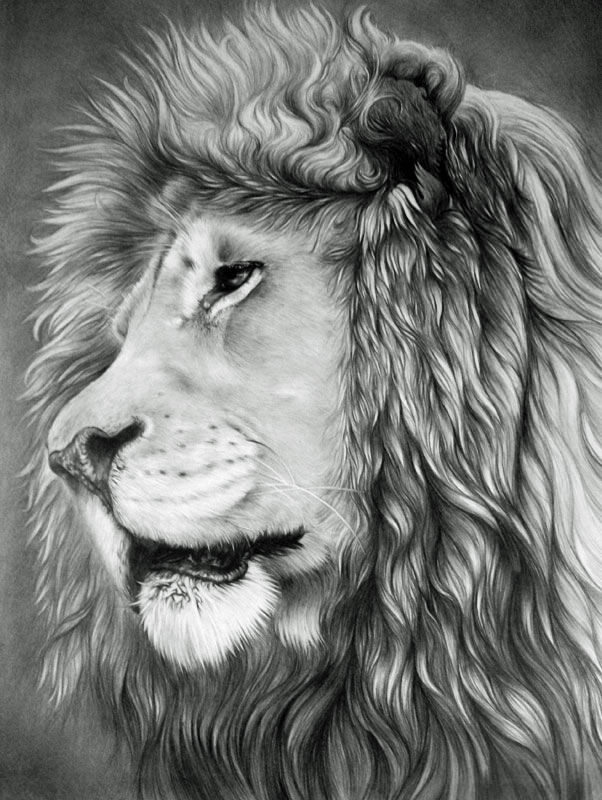 Great emphasis is laid on the careful depiction of every fold and curve in the lion’s face which makes it surreal. 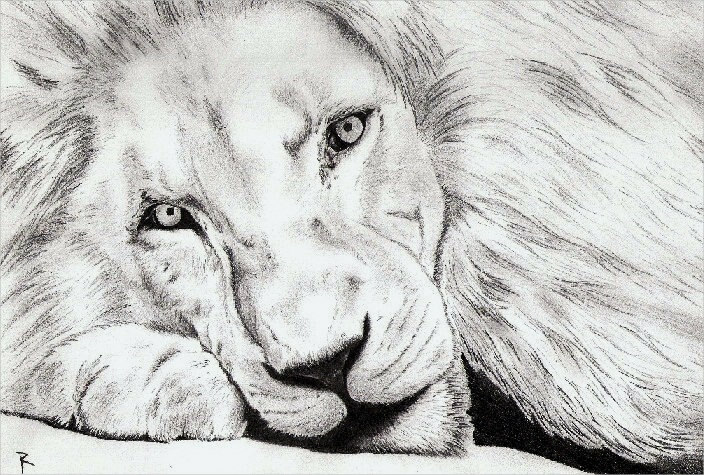 This realistic lion drawing is done on a white background. The image portrays a lion sitting carelessly on the ground. The drawing shows the entire figure of the animal which adds an even more realistic feel to the image. 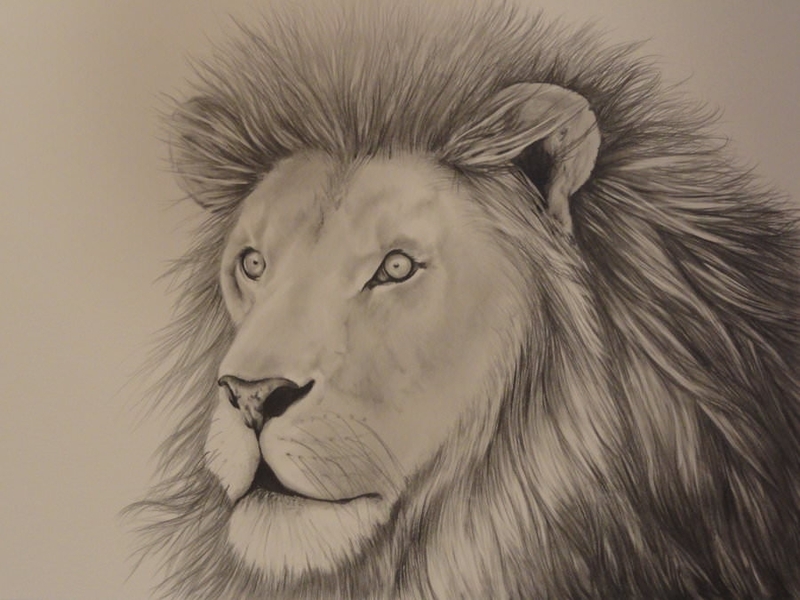 This African lion drawing is done on a sepia background. The eyes of the lion get special emphasis in this picture and they seem to be lit-up on viewing something interesting. The image only depicts the facial part of the lion with special emphasis on the features. 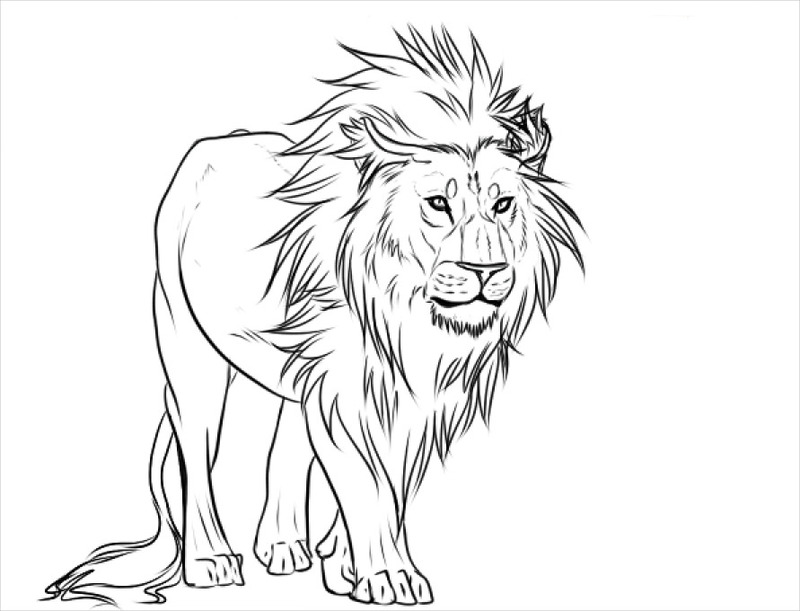 This detailed lion sketch, unlike the other sketches, is not close to reality. In fact, it is a good replica of the lion seen in Disney cartoons. 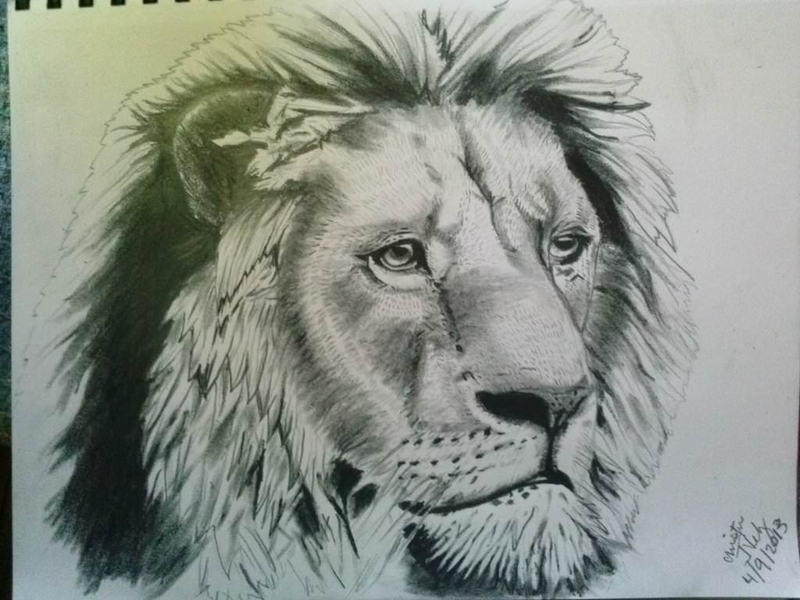 The sketch lays great emphasis on portraying each and every detail of the lion’s face. 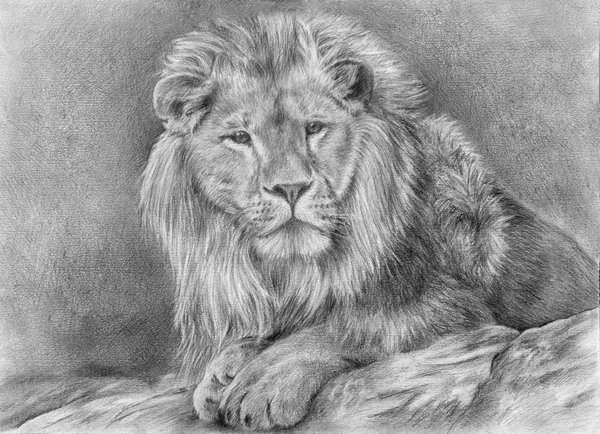 This is another fabulous lion drawing which has very close resemblance to the real animal. The lion’s face represents sadness or worry in a very subtle manner which makes the picture look even more beautiful. 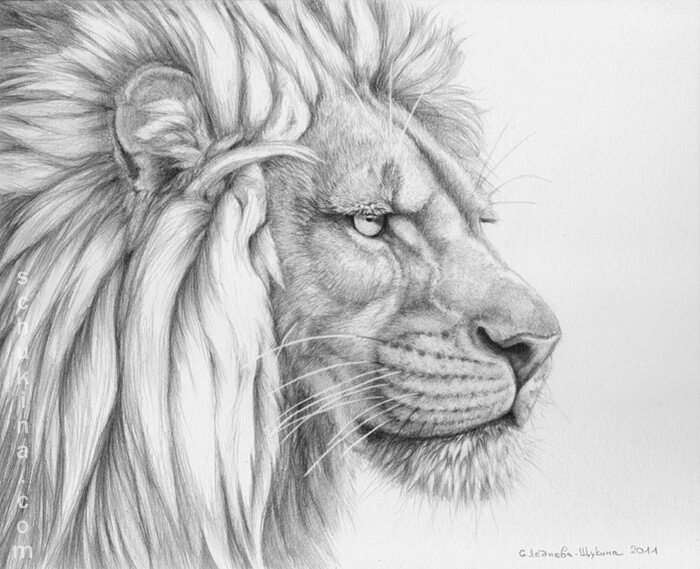 This magnificent lion drawing is the only drawing in this series where any kind of shading is absent. The lion is shown in a walking posture in all its glory. These images of a lion in different styles depict the different moods of the king of the jungle. All the above examples can be used for website designing or as wallpapers for a desktop PC or any other smartphone.